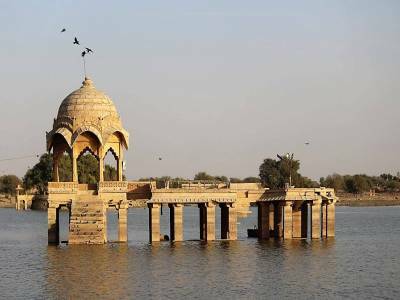 Built by Raja Rawal Jaisal, who happened to be the first ruler of Jaisalmer, the Gadisar Lake in Jaisalmer, Rajasthan; is an artificial lake by nature. Later, the lake was revamped by Maharaja Garisisar Singh. 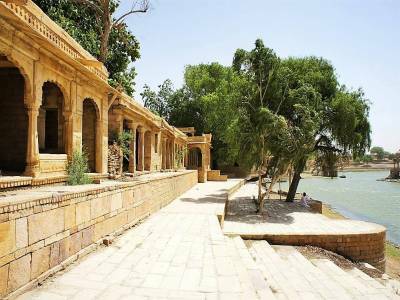 This historic lake lies in the south of the city of Jaisalmer. 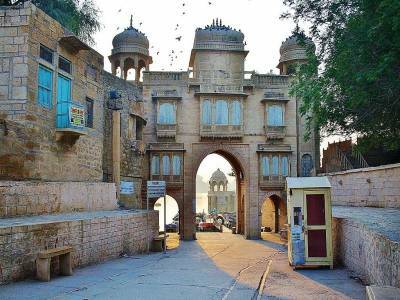 The entrance to the lake is through Tilon-Ki-Pol which is a majestically carved yellow sandstone archway depicting high class architectural brilliance. There are many artistically carved Temples, Shrines, Ghats, Chattris that lay on this beautiful lake’s bank. However, the most famous and popular amongst them is the great Krishna Temple. 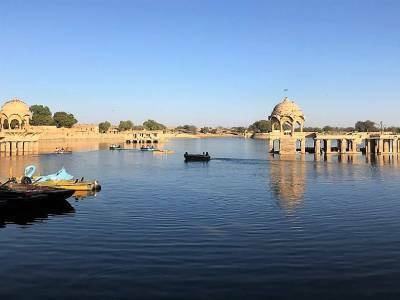 The predominant charm of the lake is due to the fact that it was the sole source of water for the people of Jaisalmer in the yesteryears. As the lake is very nearly located to Bharatpur, many a migratory bird are seen on the bank of the lake which without any doubt makes the scene all that more beautiful and enthralling, a sort of scenery that is just any photographer’s delight. Just a couple of kilometres is what is the distance of this lake from the railway station of Jaisalmer. Hence communication is well and truly facilitating as they can reach this wonderful heritage site by an auto rickshaw or simply a rickshaw. 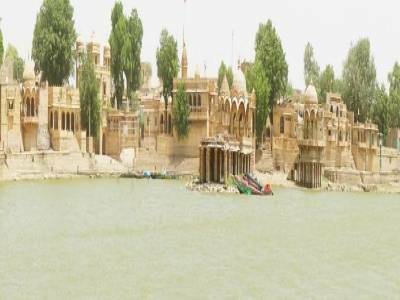 Gadisar Lake has now turned into one of the top most tourist attractions in Jaisalmer both for its great historical significance and sight beauty. October to March is the ideal time for visiting the Gadisar Lake. Gadisar Lake easily finds a prominent position amongst the top artificial lakes in India. Get quick answers from travelers who visit to Gadisar Lake.